Jack Thorne, the acclaimed writer of the award-winning West End phenomenon, Harry Potter and the Cursed Child, is at it again with an updated version of one of the most iconic dramas in the history of modern theater. Originally Set in 1821, Woyzeck is based on the true story of Johann Christian Woyzeck, a German wigmaker and military barber who stabbed his mistress to death in a jealous rage and was sentenced to death by beheading. The majority of the play was written by Georg Buchner in 1836, but was left unfinished when he died the following year. The play was eventually published in 1879 but wasn’t staged until 1913. Since its premiere, the story has been reworked for various stage and screen productions including an opera in 1925, numerous other stage versions and at least five film adaptations. Jack Thorne, who spoke with Leaky about his recent musical Junkyard, is bringing the latest version of Woyzeck, this time set in 1980’s Cold War Berlin, to the West End stage this spring. The title role is being played by British actor John Boyega, who gained international fame with his part in JJ Abrams’ 2015 Star Wars sequel, The Force Awakens, as rebel stormtrooper Finn. According to an announcement by the Guardian last year, 24-year old Boyega, who won the 2016 BAFTA rising star award, will hopefully bring younger audiences to the London theater. 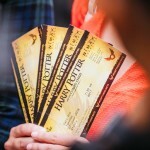 Two other members of the Cursed Child creative team, who have so brilliantly brought Thorne’s adaption of the Harry Potter canon to the stage, will be joining the writer on this production. As reported by Leaky here earlier this month, both lighting designer, Neil Austin and sound designer, Gareth Fry, who have received Olivier Award nominations for their work on Cursed Child, will undoubtedly bring that same exceptional level of theater technics to The Old Vic for Woyzeck. 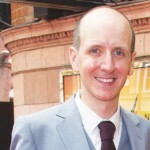 Jack Thorne has become such a creative force in the entertainment industry, including his nomination for best writer by the Royal Television Society for the Hulu series National Treasure, that he will present a special masterclass entitled “Jack Thorne: How to Write a Television Drama” at this year’s British Film Institute (BFI) & Radio Times Festival on Sunday, April 9. To find out more about this incredible opportunity and to book tickets, go to the BFI website. Considering all of his recent triumphs on stage and screen, Jack Thorne certainly seems to be on a roll and we couldn’t be more thrilled that he wrote his way into the Potterverse! Thorne’s production of Woyzeck opens at The Old Vic on Saturday, May 13. Follow this link to catch Leaky’s exclusive interview with Jack Thorne. 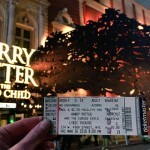 Theater Round-Up: Cursed Child New York and Melbourne to Release November Batch of Tickets--and Much More! 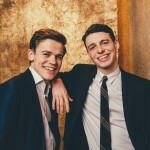 Theater Round-Up: Anthony Boyle and Sam Clemmett Interviews, Noma Dumezweni's 'Black Earth Rising' Trailer and More! Theater Round-Up: 'Cursed Child' Boasts Record Sales and New Cast Photos While 'King Kong' Waits in the Wings!